The New York School of Investment Banking evolved from industry-respected AnEx Training. Those early classes sought to provide the skills and knowledge required to bridge the gap between structured education and real-world experience. We did this by defining and focusing on the key skills the financial industry demanded and delivered them in a hands-on setting that produced professionals with the ability to bring real value within the financial industry. The New York School of Investment Banking is the result of our strong foundation. Our courses are taught with textbooks written by our founder, Paul Pignataro, which have been published by Wiley Finance, and have been ranked as national bestsellers on Amazon.com. By teaching today’s most sought after skills, NYSOIB is uniquely positioned to provide advanced education to students, recent graduates and industry professionals. Home to many of the country’s industry leaders, New York provides opportunities that you are unlikely to find anywhere else in the world. One example is the NYSOIB training provided to bulge bracket banks including HSBC, UBS, and JPMorgan, M&A teams at corporations such as Navistar, and over one hundred Private Equity firms and Hedge Funds. 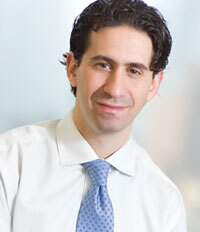 Paul Pignataro is founder and CEO of New York School of Investment Banking. Mr. Pignataro is also the author of the “Investment Banking and Private Equity in Practice” series of books published by Wiley Finance. Since its publication, “Financial Modeling and Valuation: A Practical Guide to Investment Banking and Private Equity”, the first book in the series, has been ranked #1 on Amazon.com in Finance Hot New Releases and #12 in all Finance Bestsellers. Mr. Pignataro has over 14 years of experience in Investment Banking and Private Equity in business mergers, acquisitions, restructurings, asset divestitures, asset acquisitions, and debt and equity transactions covering the oil, gas, power and utility, internet and technology, real estate, defense, travel, banking and service industries. Mr. Pignataro worked at TH Lee Putnam Ventures, a $1 billion Private Equity firm affiliated with buyout giant Thomas H. Lee Partners. Prior to TH Lee, Mr. Pignataro was at Morgan Stanley, where he worked on various transactions in the technology, energy, transportation and business services industries. Some of the transactions included the $33.3 Billion merger of BP Amoco and ARCO, the $7.6 billion sale of American Water Works to RWE (German water company), the sale of two subsidiaries of Citizens Communications, a $3.0 billion communications company and the sale of a $100 million propane distribution subsidiary of a $3 billion electric utility. He graduated from New York University with a bachelor’s degree in mathematics and a bachelor’s degree in computer science. His areas of expertise include financial analysis, valuation, corporate finance, mergers/acquisitions and LBO modeling over many industries.